Tar Fiend might fit in well. Thanks, Olive_pdx! I am testing with Cutthroat and Blood Artist now. Tar Fiend looks like a lot of fun - I need to recommend it to a local discard player, as well. I'll check out your deck! I feel as if Prossh, Skyraider of Kher is a better commander choice, because Sek'Kuar is restricted to only nontokens. Thromok the Insatiable is another nice option, although he unfortunately lacks trample. 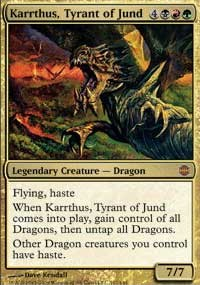 Dragon Broodmother is another nice token producer along with Endrek Sahr, Master Breeder. 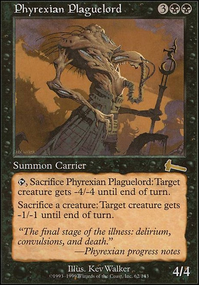 Eliminate the Competition, Bitter Ordeal, Reprocess, Urborg Justice, and Plunge into Darkness are all nice cards centered around saccing creatures. 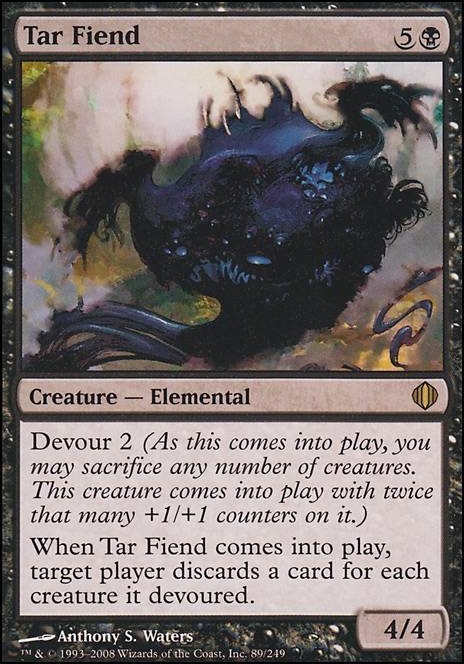 Tar Fiend is nice as well. 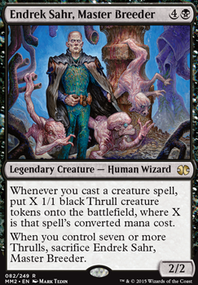 Unfortunately, most of my suggestions are mono-black, mainly because I only have experience with Endrek Sahr as a commander, although my Endrek Sahr EDH is centered around the same mechanic. Hey Mike94 thanks for the suggestions. 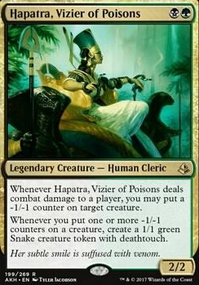 I actually went ahead and took your advice and swapped in Ophiomancer and Bitterblossom because I've been looking for ways to make more tokens for free, and I swapped out Tar Fiend and Mind Slash because they really weren't doing a whole lot for me. Thanks man! I don't have to expend many creatures with devour. They have devour 2 and Corpsejack Menace doubles it again. For 2 replaceable tokens I get 8 counters, or 16 if I have 2 corpsejacks out. Then Mycoloth makes more tokens for each counter each turn which get counters from Oran-Rief, the Vastwood. 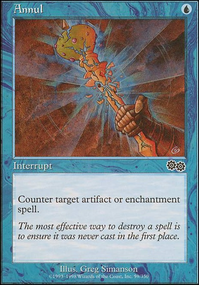 Mycoloth did get removed by my opponent in one game but it wasn't detrimental. I still won with the tokens it made, the elves, and Tar Fiend which made him discard his hand after devouring some tokens.Also Ezuri, Renegade Leader can't combo with Devoted Druid because regenerate doesn't work on 0 toughness. Cool list! 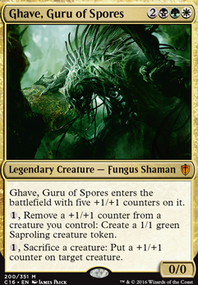 I'd probably some devour creature to take advantage of the tokens you're creating with Garruk and Sprouting Thrinax. My personal favorite is Mycoloth, but Skullmulcher and Tar Fiend are sweet too.